Local ingredients, international inspirations and house-made everything are the hallmarks of the new ultra-creative Jewish cuisine. Here are three places to find it. 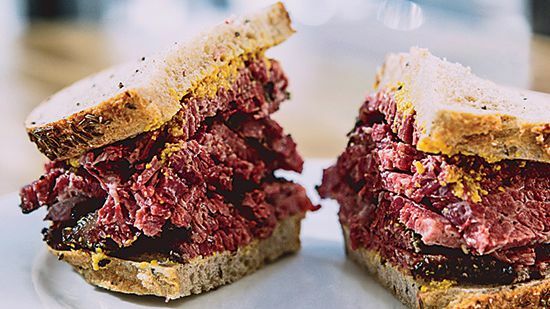 By day, The General Muir serves reimagined deli favorites like a superb beet reuben; by night, they offer terrific small plates like Israeli flatbread with stewed lentils. thegeneralmuir.com. Matzo-ball soup gets upgraded with luscious bone marrow, and smoked salmon is transformed into tartare at DGS Delicatessen. dgsdelicatessen.com. Opening in May of 2014, chef Michael Solomonov's Abe Fisher will serve a quirky menu that includes corned pork belly with pretzel challah. cooknsolo.com.